We rode our rented bikes from San Francisco Fisherman’s Wharf to Sausalito over the Golden Gate Bridge. The bike rentals included a free return trip to Fisherman’s Wharf using the Ferry service. There must have been over 200 bikes squeezed together like sardines. I give the staff a lot of credit for making the transition on and off the ferry run smoothly. 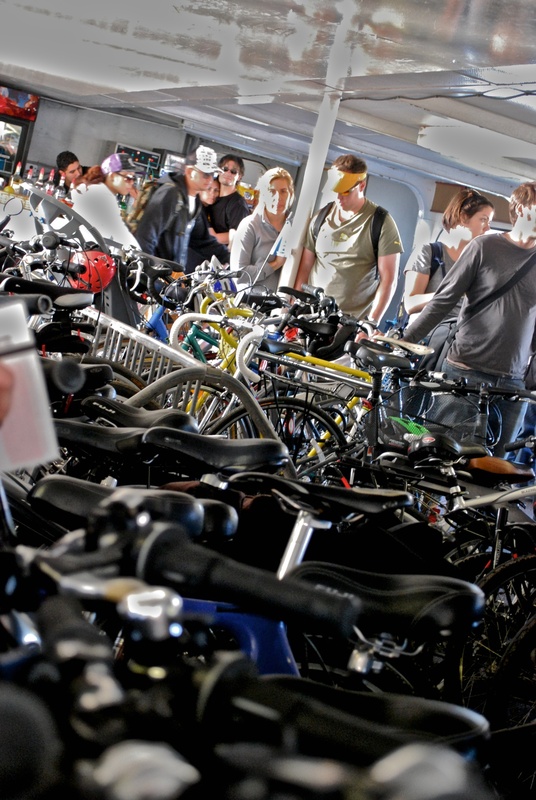 In this picture, riders are finding their bikes to get ready for departure as we dock.